President Obama has given his first major speech on relations between the United States and the Muslim world. “President Obama’s call for a ‘new beginning’ in relations between the United States and the Muslim world is very welcome. 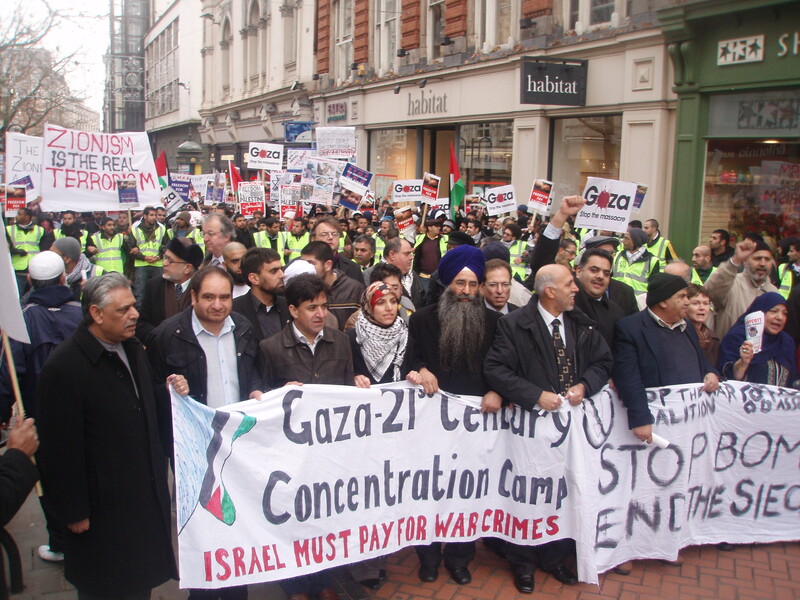 “The absence in his speech of any bellicose threats to Iran stands in stark contrast to his predecessor, George W Bush, as do his comments about the ‘intolerable’ situation facing the Palestinians. 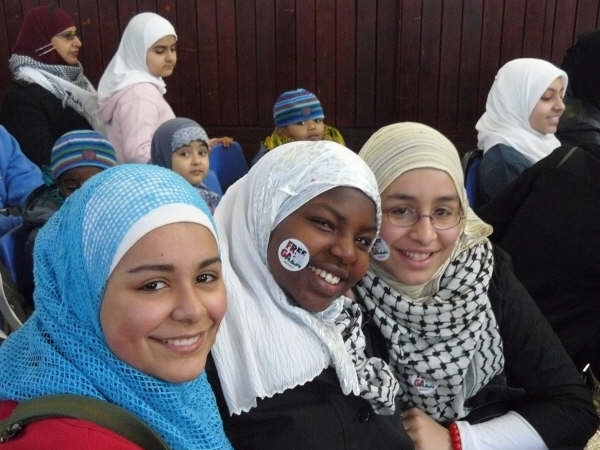 “However, in view of the damage done to the United States’ reputation across the Muslim world, actions not words will be required to really mark a new beginning. 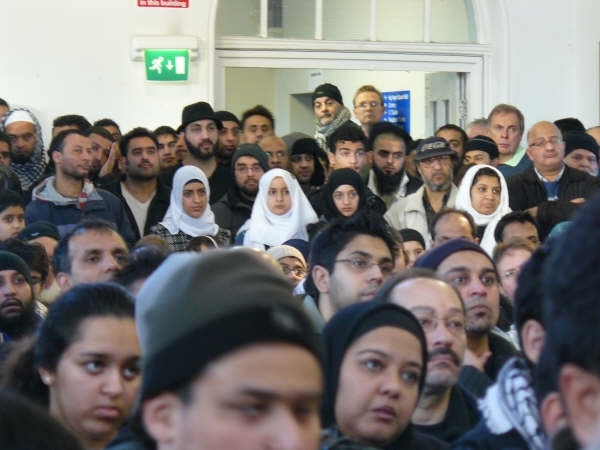 “Many Muslims in Britain are of South Asian origin and are alarmed at how the US intervention in Afghanistan is also destabilising Pakistan. 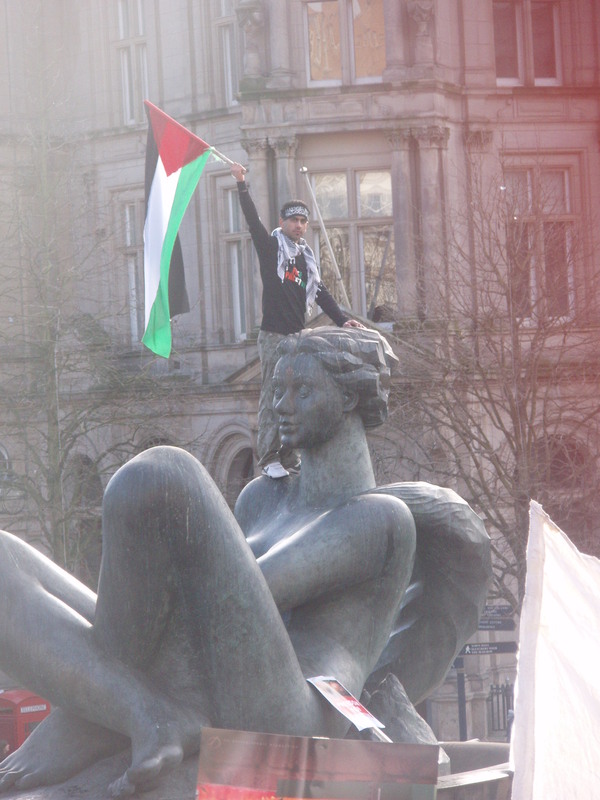 INFO: Jointly organised by Worcestershire Palestine Solidarity Campaign and Worcester Stop the War Coalition, Worcester Palestine Group. INFO: The Birmingham-Ramallah Twinning Initiative is hosting a practical public meeting on how to build grass root links with Palestine. Find out how you can help. 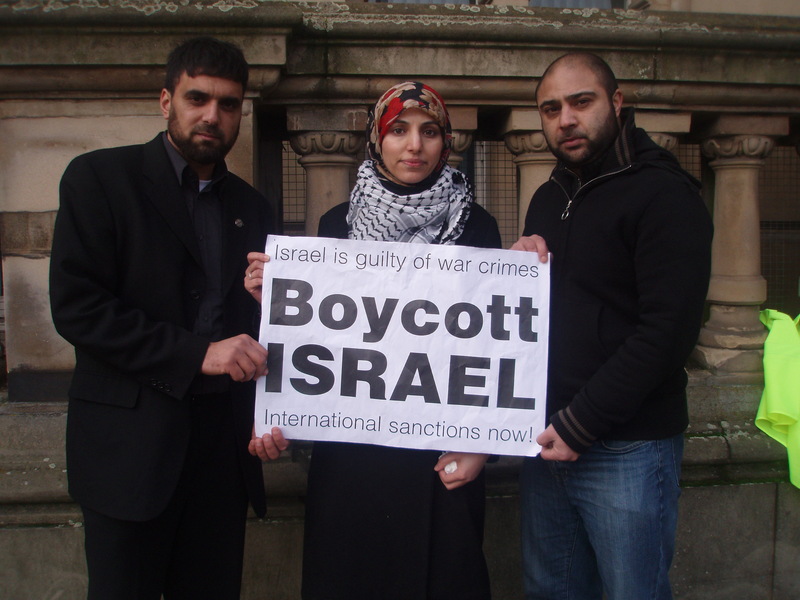 INFO: Continuing the pressure on the Israeli state for the massacre in Gaza and the daily war crimes committed in Palestine, the next step is a meeting to establish a stronger and broader Boycott Israeli Apartheid Campaign. 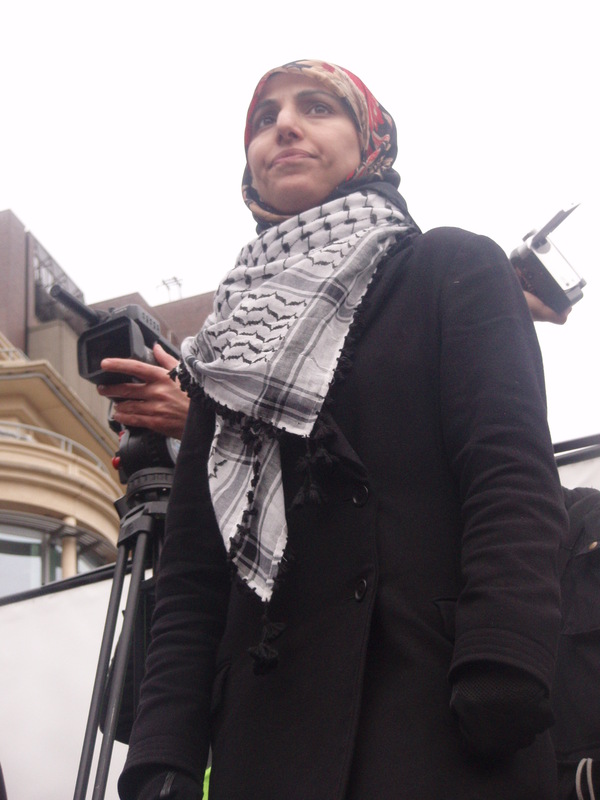 Convened by Stop the War Coalition, Salma Yaqoob, Palestine Solidarity Campaign and Muslim Association of Britain. 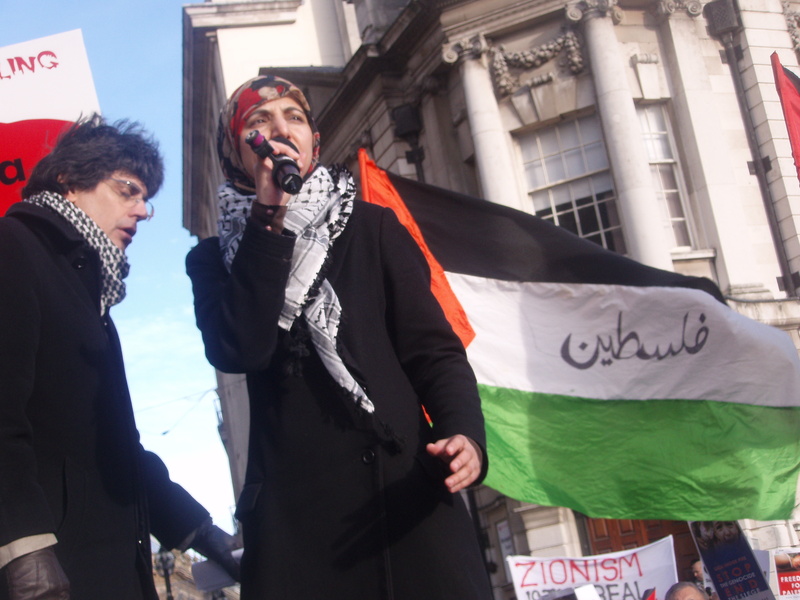 On Sunday 18th January 2009, following the 5,000-strong Demonstration through the streets of Birmingham the day before, over 500 people packed into the Bordesley Centre Camp Hill for the ‘Justice for Palestine’ meeting organised by Birmingham RESPECT. 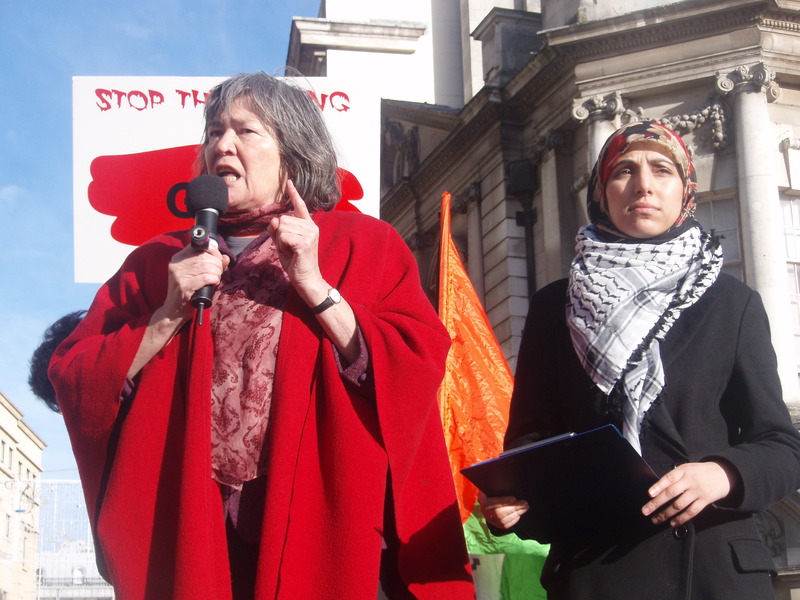 Mark Holland, who has been active in the Birmingham Labour movement for three decades, chaired the meeting and first to speak were two young women who have played a key role in mobilising solidarity with the people of Gaza over the past 3 weeks. 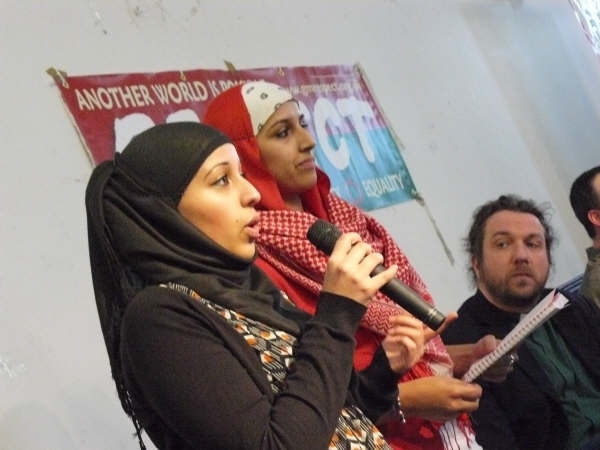 Miriam Khan and Aisharr Mahmood spoke of the success of their work in using Facebook groups as a method of connecting with and organising young people and they received cheers from the audience. 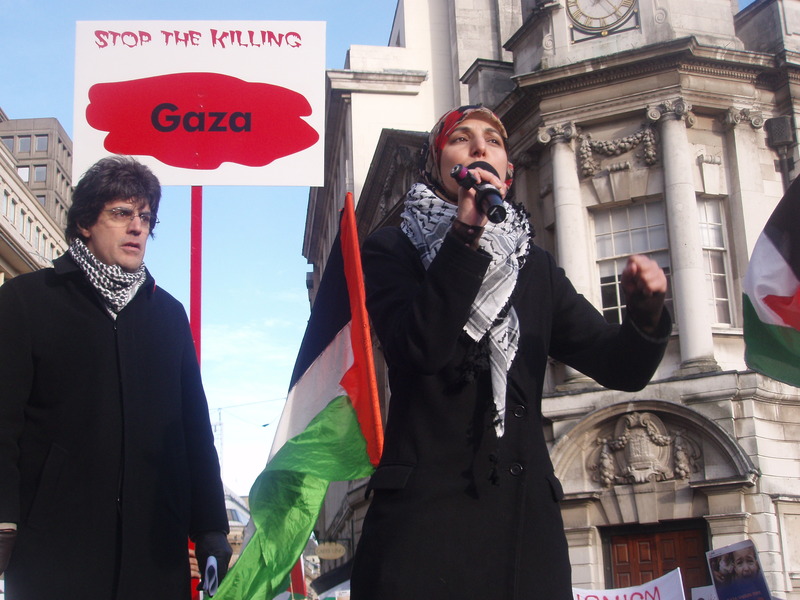 Miram and Aisha talked of how children and young people all over the planet have been affected by the images of slaughter caused by Israeli weapons. 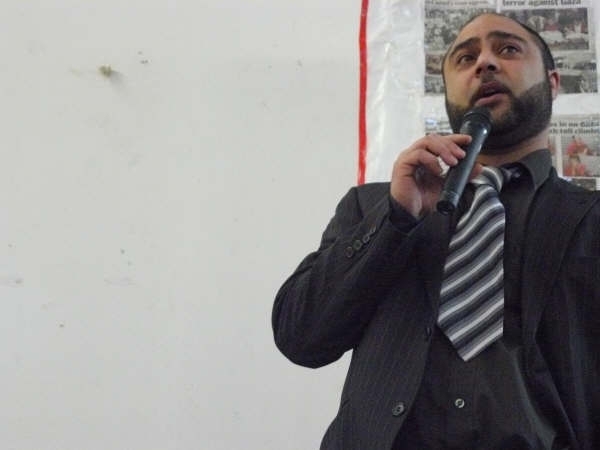 Then Mark Holland introduced Chris Arendt a 24-year-old former Guantanamo Bay Prison Camp Guard who has been working with Moazzam Begg in a recent Caged Prisoners speaking tour. 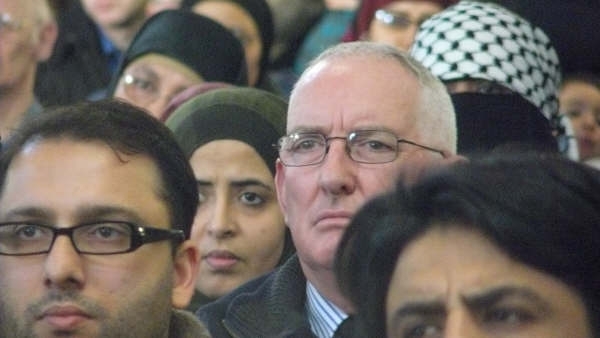 Chris talked about how impressed he is by the size and enthusiasm of the Palestinian Solidarity movement here in Birmingham he said “I am more used to speaking to small groups of concerned Christians and Liberals”. 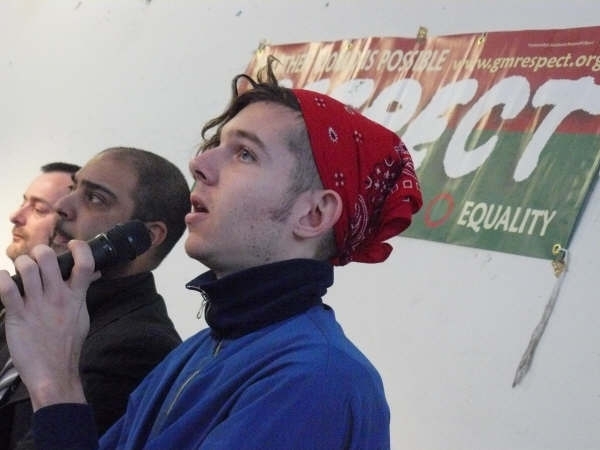 Gaston who congratulated the audience for their hard work over the past three weeks in building the Boycott Israeli Goods campaign across the city. 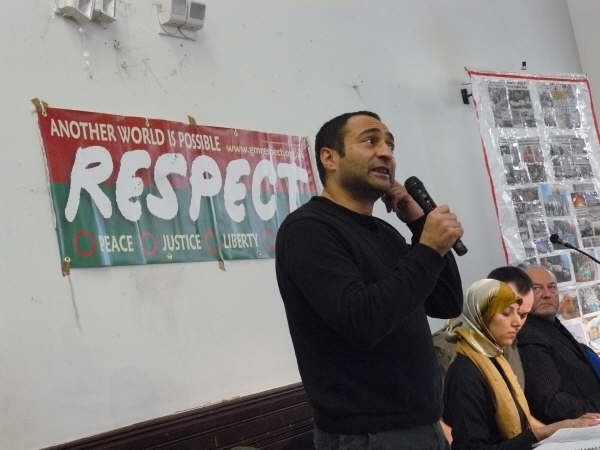 Ray explained how he was inspired to join RESPECT, he said “I was inspired by this woman [pointing to Salma Yaqoob] to join and to proudly stand as a candidate for RESPECT”. 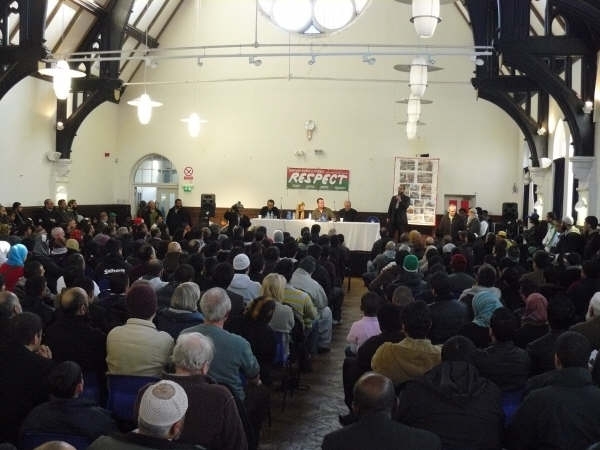 Ray went on to talk about the dangers of ‘Demo fatigue’ and noted that there was another national mobilisation called for London next weekend. Ray questioned whether now might be a better time to ‘think globally and act locally… to deepen the effectiveness of our campaign where we live’. 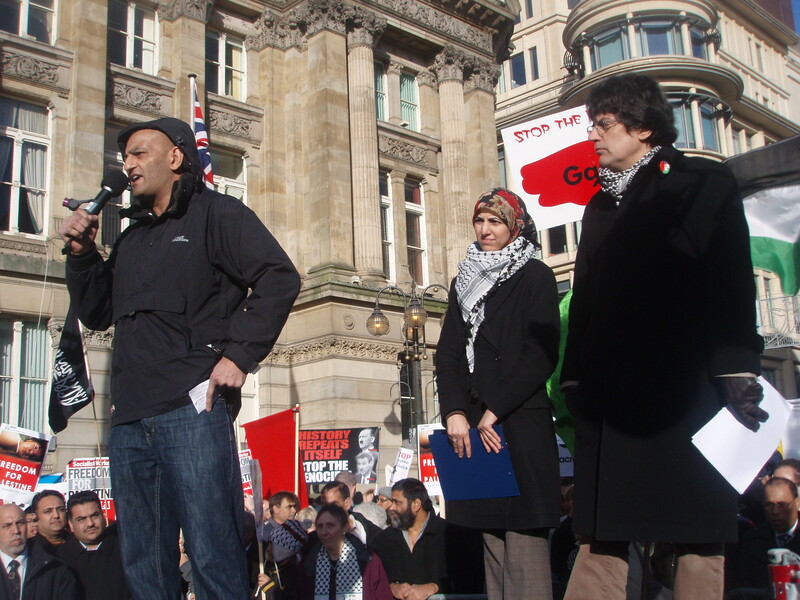 Ray talked of the mobilisation tomorrow in nearby Lichfield against the factory that was manufacturing engines for the Israeli Drone aircraft used against the people of Gaza. 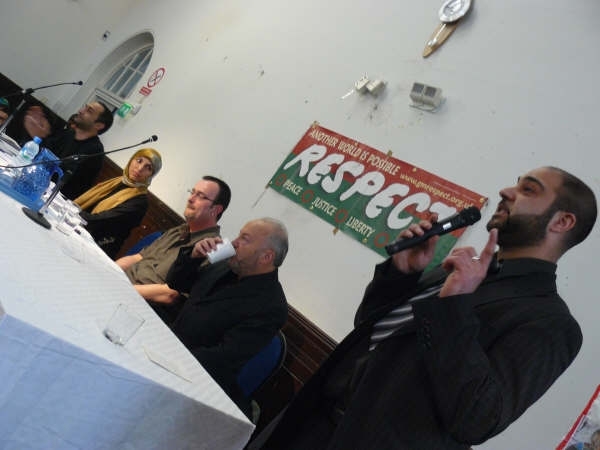 At this point in the meeting George Galloway arrived and to rapturous applause joined Mohammed Ishtiaq on stage. 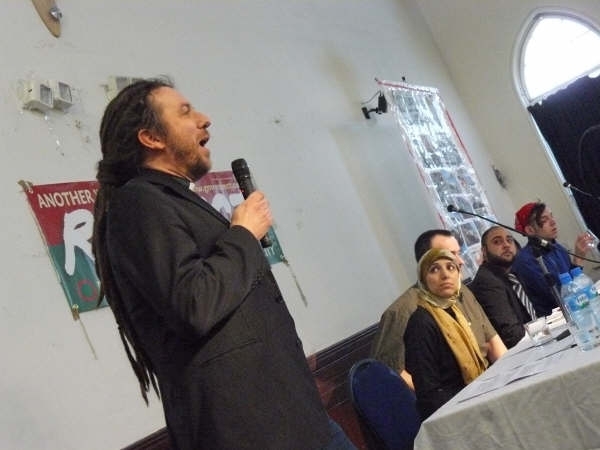 Kevin Ovenden [George Galloway’s Political Assistant and RESPECT National Committee Member] also joined the platform and after bringing greetings from the RESPECT activists of London’s East End spoke in some depth on the origins of the Zionism and its connection to the imperialist system that developed in 19th century Europe. 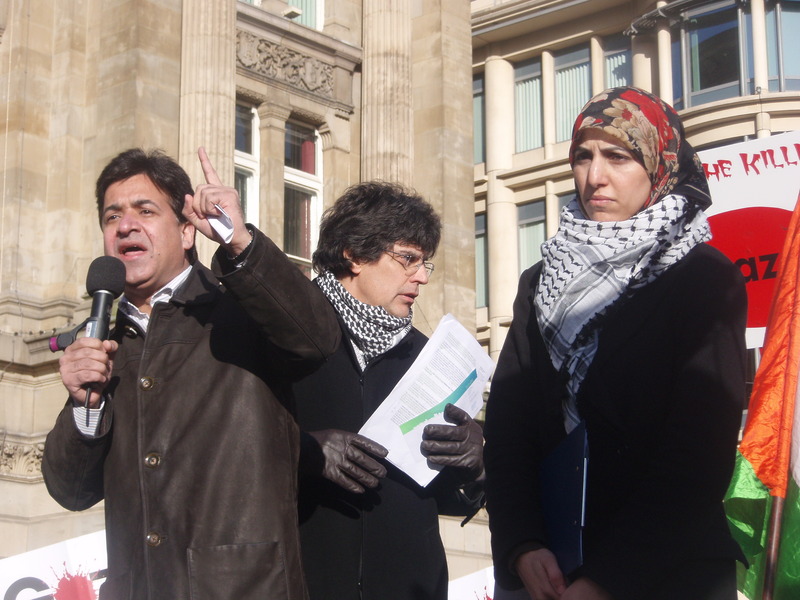 When Kevin talked of the expulsion of Jews from Spain in 15th Century and described how they were given refuge by the Islamic peoples of the Levant and Mahgreb he reiterated that the “slurs against us that we are Anti Semetic…anti Jewish have no foundation…and have never had foundation… to stand up to the Israeli State is not to be Anti-Jewish”. 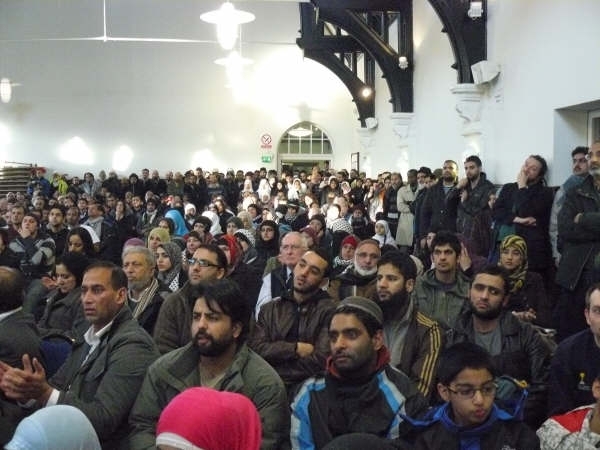 When Councillor Salma Yaqoob took the microphone it was to prolonged and warm applause. She said “I haven’t come here to inspire….. I have come here to be inspired by you!” and the applause started again. 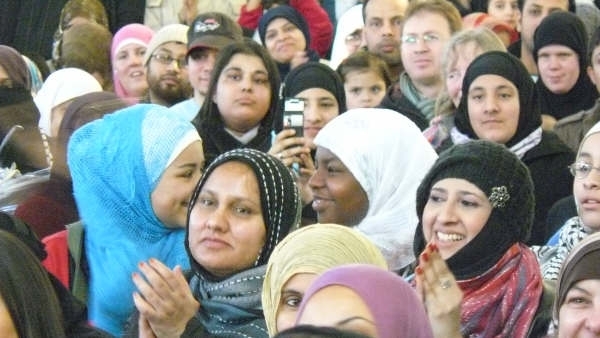 At some points in Salma’s heartfelt speech individuals in the audience began to cry at other points there was smiles and laughter. 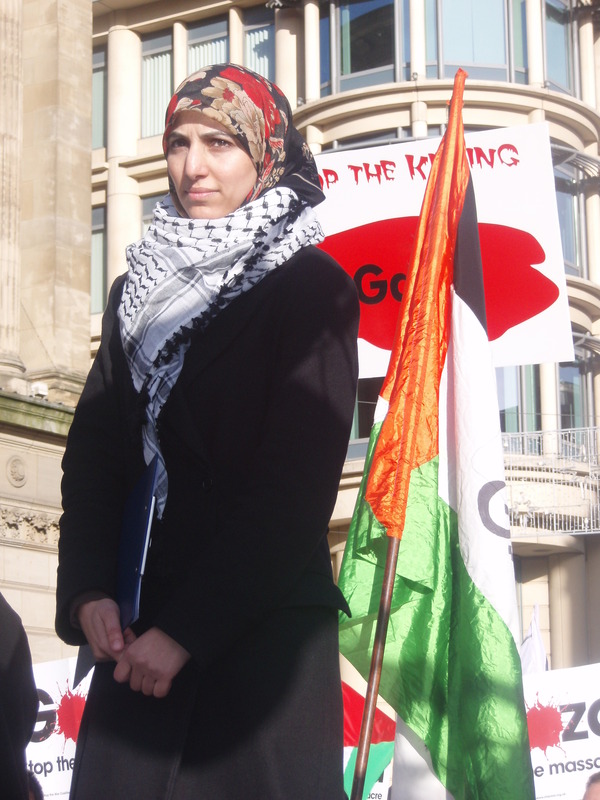 She talked of the energy she gained from the mass mobilisations of ordinary working class Brummies. 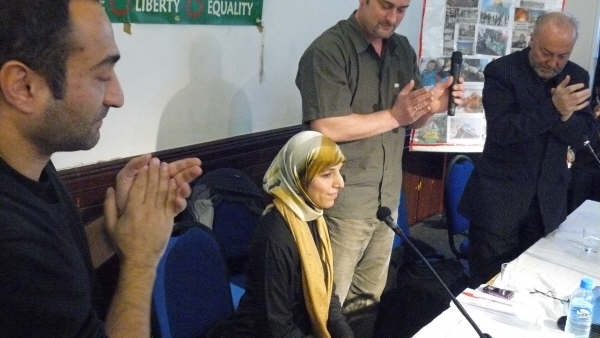 She explained why she put so much effort into attempting to construct the broadest political coalition to give practical support to the Palestinian people. 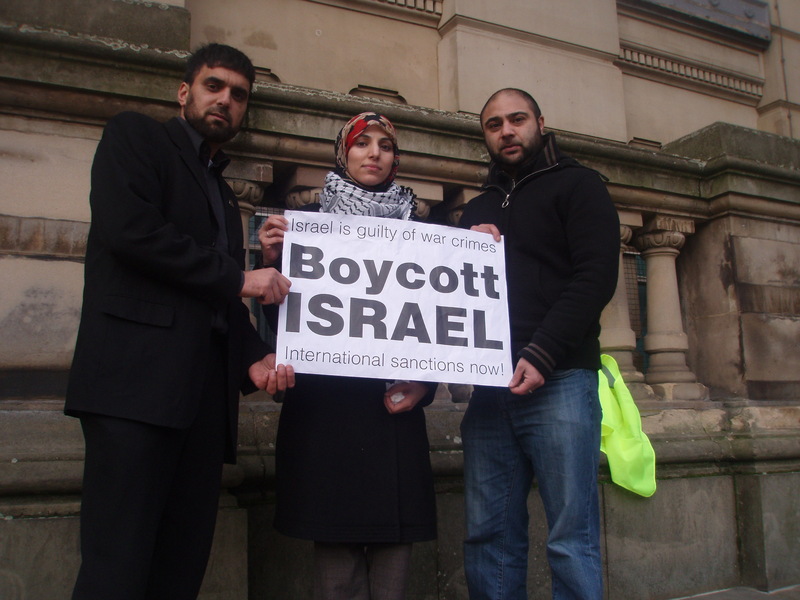 Salma said she “didn’t regret arguing till midnight with councillors from other political parties to finally win agreement on the Boycott Israel Campaign”. 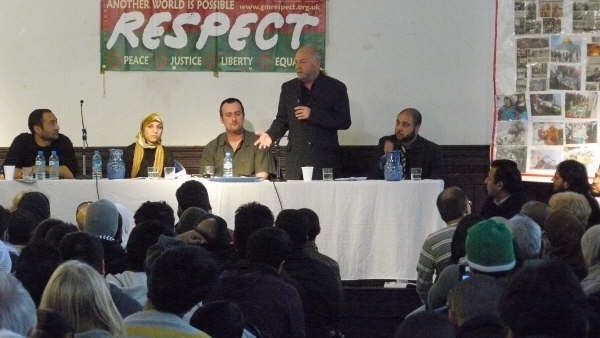 There was a standing ovation for Salma before George Galloway RESPECT MP for Bethnal Green and Bow took the microphone. 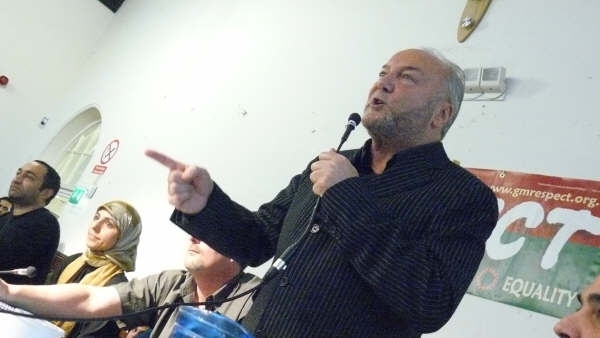 George spoke of the double standards and hypocrisy of the media focusing on the failure of the media to describe Hamas as ‘the Democratically Elected Government of Gaza’ and spoke of his disgust at the news earlier in the day that Brown is sending the British Navy ‘not to bring aid to Gaza but to tighten the siege’ to ‘prevent Hamas from getting weapons’… George said ‘What is wrong with the Palestinians having weapons to defend themselves from Israeli state aggression?’… ‘The Palestinian people need arms to defend themselves’. 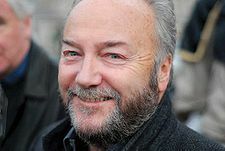 Towards the end of his speech George talk of the plans to establish a Convoy…. 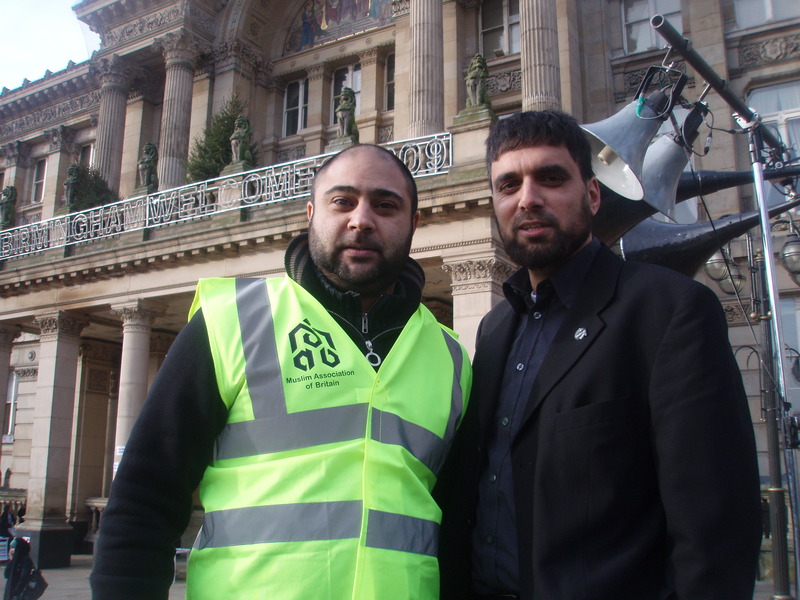 A Convoy of Aid to travel from Scotland through all the major population centres of the UK across to the continent …. through France, Spain across to Morocco and through all of North Africa to Egypt. George said … ‘…and when we get to Rafah, if the Egyptian government will not let us through we will smash our way through!” Our aid to Gaza will get through! After a second standing ovation the meeting began to disperse. Hundreds of people had signed contact sheets to become more involved with RESPECT’s work, Hundreds of pounds were collected for RESPECT and over 100 copies of ‘the RESPECT Paper were sold. 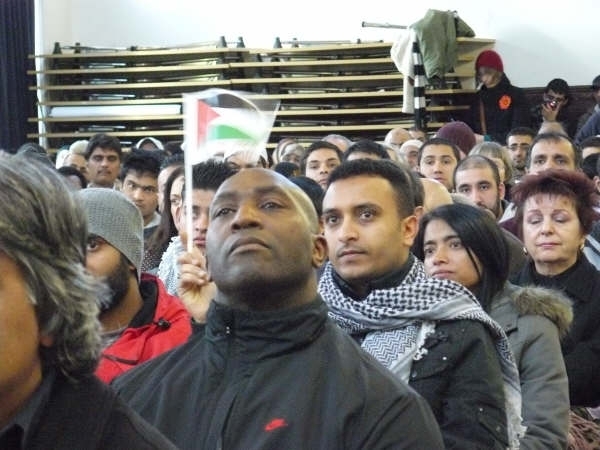 The end of this meeting marked the consolidation of the mass base in the working class that RESPECT activists in Birmingham have been building over the past year. This mass base has been tested through 3 weeks of intensive internationalist struggle, fighting for Justice for the Palestinians. 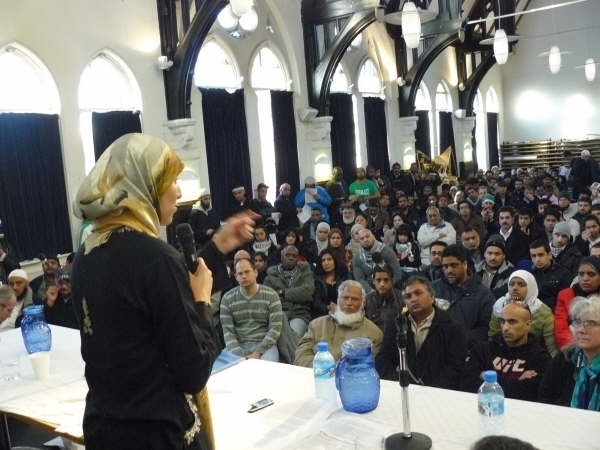 Birmingham RESPECT is in a powerful position to turn this mass base into a electoral breakthrough with the election of Salma Yaqoob as the MP for Hall Green in the next General Election. 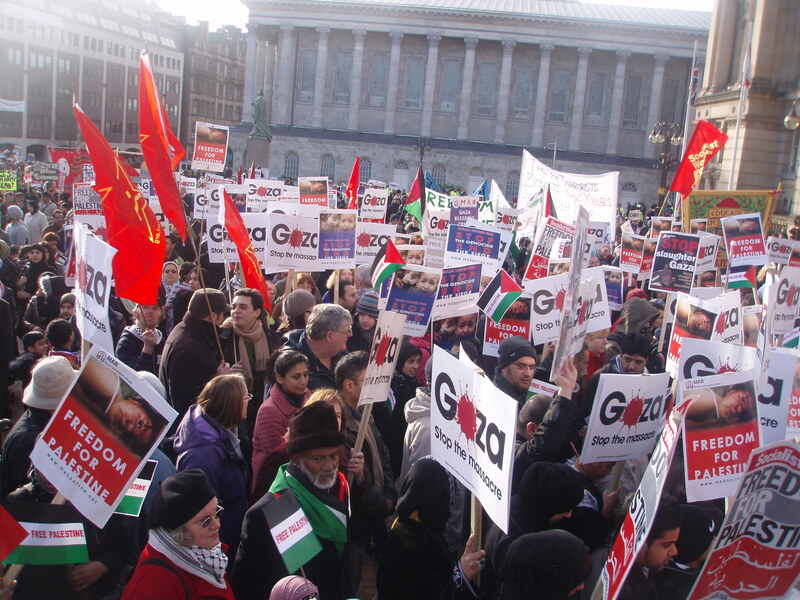 Images from the 5000-strong Gaza rally, march and demonstration, which took place in Victoria Square, Birmingham, on Saturday 17th January, 2009.